In the Hotel’s Wellness-spa center, guests can experience the atmosphere of relaxation. 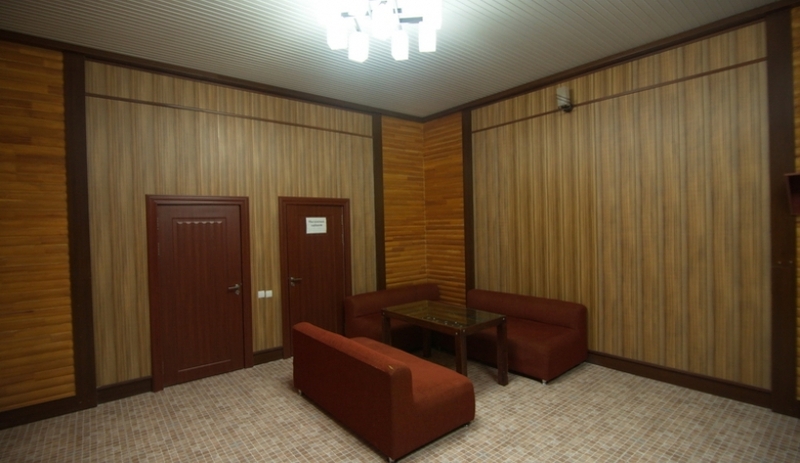 Visitors are offered an indoor swimming pool, jacuzzi, Turkish bath, Russian bath and Finnish sauna, a massageroom, rest rooms. All of these is the ideal venue for leisure. 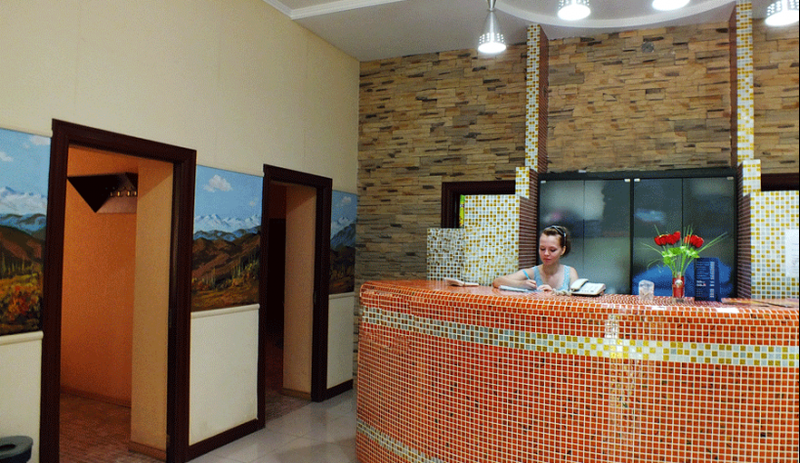 A standard bath visit is available for six to eight persons. 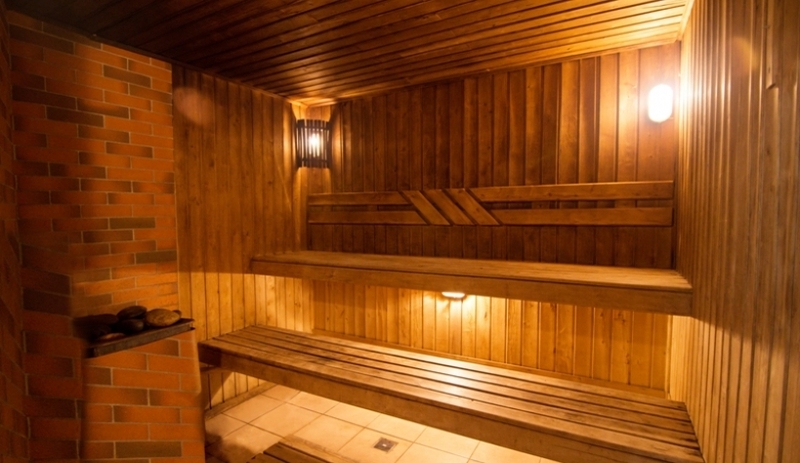 We invite lovers of light steam and a wonderful rest, which is offered by hot Russian bath. After the hydrotherapeutics you can sit in a cozy rest room, where you will not be disturbed, having settled yourself in a comfortable chair and sipping herbal teas. A great place for relaxation of body and mind. 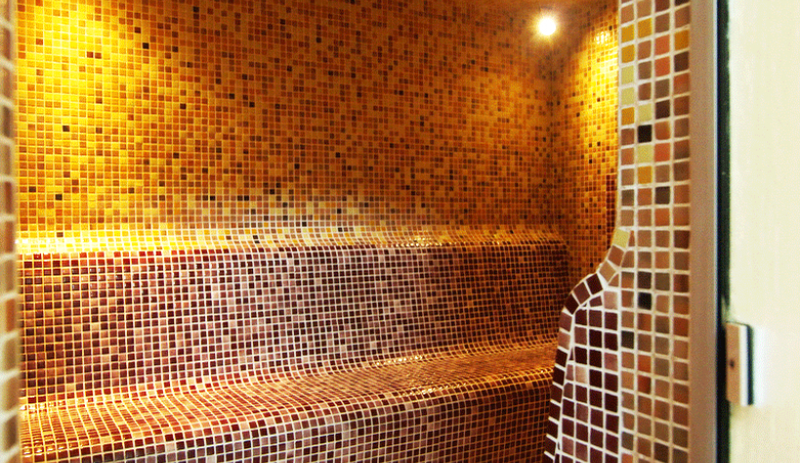 In our Turkish bath, you can relax in the circle of family and friends, you can be private here, far away from the bustle. Helps to relax, recuperate and feel pleasure, relieve stress, and of course, has a positive effect on the skin. Our guests also can enjoy a magnificent Jacuzzi. 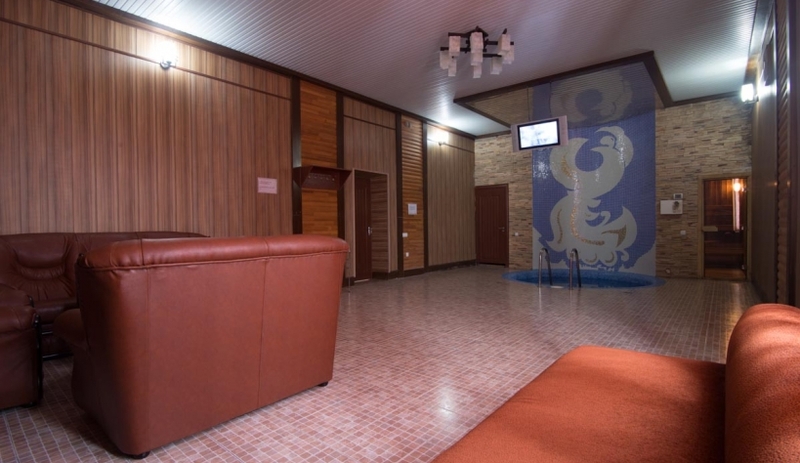 The indoor winter pool is located in a spacious room with a large panoramic window. The walls are decorated with frescoes in a nautical theme, which add a sense of a beach on theexotic coast: the only thing you should do is to settle yourself in the lounge chair with a glass of cocktail in your hand, just next to it, there is a children’s indoor swimming pool with warm water.